Aquatic's Point Reyes Jr. features a deeply contoured bathing well and built-in lumbar back support. The seven jets are strategically placed to direct jet action to the neck, shoulders, back, legs, knees and feet; washing away tension and providing relief to sore, aching muscles. 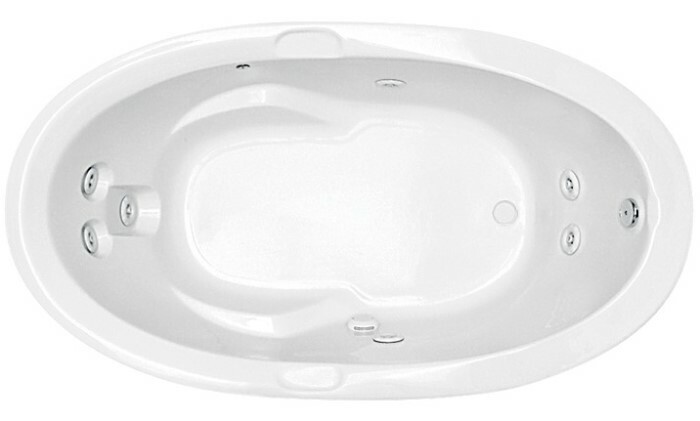 Armrests and lumbar back support add to the comfort of this bath. Tub Size: 65 1/2" x 38 1/2" x 22 3/4"